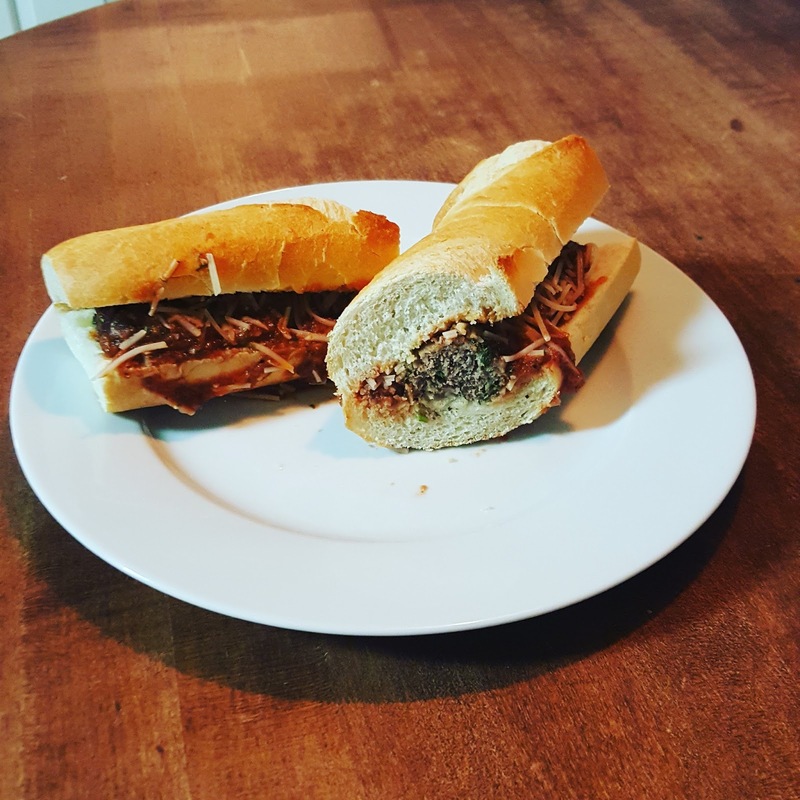 Me, Myself, and Cuisine: Meatball Sub! This past weekend, I had to house to myself. This typically allows me to just cook what sounds good in the moment, without having to worry it something that the kids will eat. I decided to take my meatball recipe and my quick tomato sauce recipe, and turn it in to a meatball sub! Be sure to check out the post on Spaghetti and Meatballs to find some ideas for the kiddos! Cut the bread to size and split down the middle. Cut the meatballs in half and line them up inside the bread. Top the meatballs with tomato sauce and Parmesan cheese. Enjoy! The meatballs are super easy to make. Add all of the ingredients to a bowl. Add in a few drops of water. Mix together with you hands. This is the most effective way. When the ingredients are well mixed, roll out the meatballs and place on a sheet pan. Make sure the meatballs are not any bigger than about 2 inches to make sure they will cook through. Please the sheet pan under the broiler and cook until the meatballs are browned. Flip the meatballs over and cook until brown.